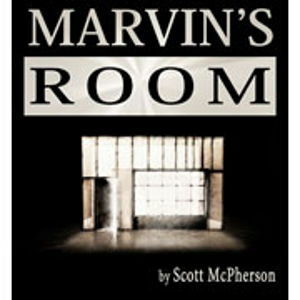 First produced in 1990, Marvin’s Room tells the story of two sisters, Bessie and Lee. They have not seen each other for many years but when Bessie is diagnosed with leukemia, Lee travels to Florida to be tested as a bone marrow donor for her sister. Bessie has cared single-handedly for their father, Marvin, who suffered a severe stroke and is now bed-bound. She also looks after their eccentric Aunt Ruth, who has electrodes (her “cure”) wired up to her brain to help ease the pain of three collapsed vertebrae. Bessie cares for her father and aunt without question, despite the leukemia becoming increasingly aggressive. Lee has been estranged from the family for years and does not understand Bessie’s selfless service to the family. However, when Lee arrives with her two troubled sons, Hank (who is in a mental institution after burning down their house) and Charlie (who permanently has his head in a book, yet is struggling badly at school), the trio find themselves gradually transformed for the better by the guileless Bessie. Lee is, at last, able to show some affection and care for her dying sister when she offers to style Bessie’s wig. Despite its potentially sombre plot, Marvin’s Room is both funny and touching in equal measure.